It might not have been pretty, but the Titans will take it. 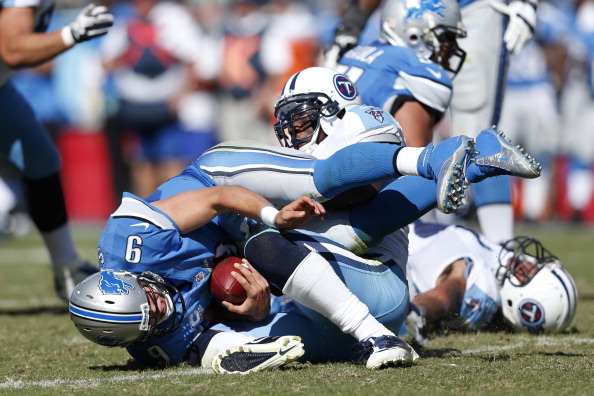 Rob Bironas kicked a 26-yard field goal in overtime, and the Titans stopped backup quarterback Shaun Hill on fourth-and-1 at the Tennessee 7 to finally pull out a 44-41 win Sunday where the Lions messed up trying to draw the defense offside. ”Obviously, there was a miscommunication, or I don’t know what you call it, from an enforcement standpoint,” coach Jim Schwartz said. The Titans (1-2) blew a 20-9 halftime lead in a game featuring wild scoring swings. They became the first NFL team to score five touchdowns of 60 yards or longer in a single game. ”Piece of cake,” Titans quarterback Jake Locker said with a smile. 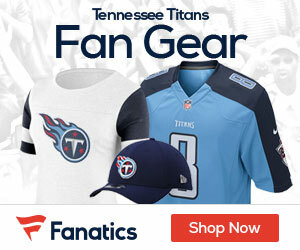 After watching a 14-point lead evaporate in the final minute of play, including a Hail Mary on the final play of regulation that tied the game for the Lions, the Titans started overtime with the ball and were able to get a 26-yard field goal from Bironas with 10:36 left. The drive was helped by several penalties on Detroit, including a defensive holding on a third down and a personal foul for a helmet-to-helmet hit on a pass that was ruled incomplete. Locker finished with a career-high 378 yards on 29-of-42 passing with two touchdowns and the Titans (1-2) got a touchdown on a punt return, kickoff return, and fumble recovery to win after losing their first two games of the season by a combined 49 points. Lions QB Matthew Stafford left the game on while trying to chase down Alterraun Verner during a 72-yard fumble return off a strip of Brandon Pettigrew. Stafford finished the game 33-for-42 with 278 yards and a score, while Hill was 10-for-13 with two scores and 172 yards in his limited time. Johnson had just one catch for six yards in the first half, but finished the game with 10 grabs for 164 yards and a score, while Mikel Leshoure totaled 100 yards and a score on 26 carries and had four catches for 34 yards in his NFL debut for the Lions (1-2), who have dropped two straight after winning their season-opener against St. Louis. The Titans appeared to have this game wrapped up after Verner’s score made it 41-27 with 1:16 to play, but the Lions came roaring back. Hill needed just seven plays and less than one minute to find the end zone as he hit Johnson in the back from three yards out to make it a one-score game with 18 seconds to play. The onsides kick was then sent down the right sideline and it bounced through the front line of the Titans before Amari Spievey came up with the ball at the Tennessee 46. After the first pass fell incomplete, Hill had one chance left and he heaved it into the end zone. Luckily for the Lions, Titans defender Akeem Ayers batted the ball right into the hands of Titus Young and the game went to overtime.